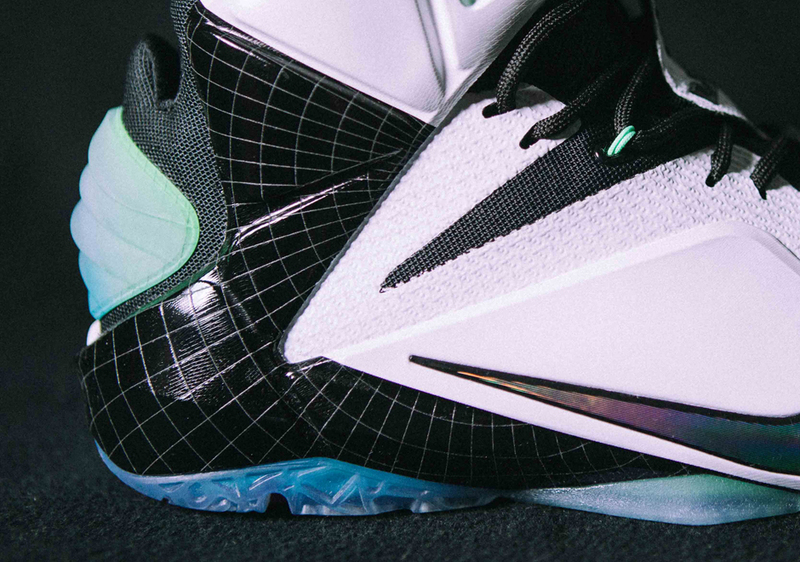 We’ve already seen the ‘All-Star’ iterations for KD and Kobe, and now we get a great look at the Nike LeBron 12 ‘All-Star’ white and black colorway. 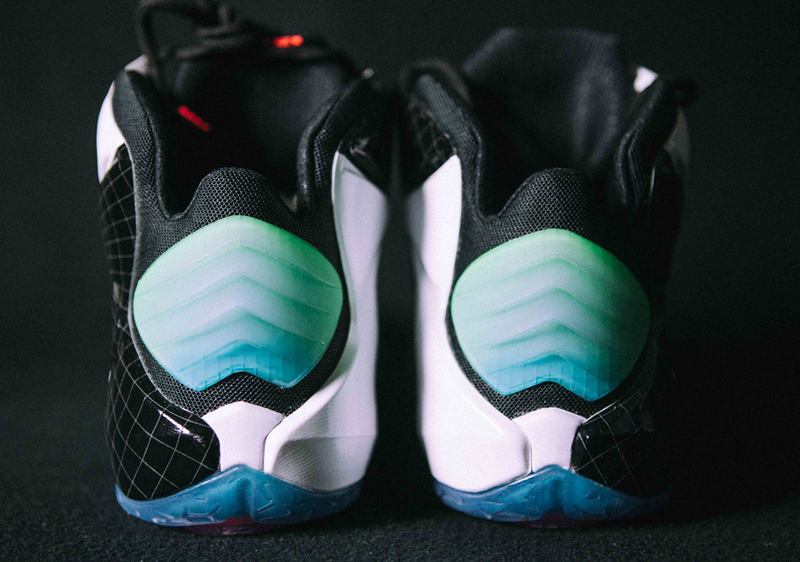 There’s definitely a lot going on with this All-Star colorway, although the white and black brings a subtle contrast to the multicolor swoosh and outsole. 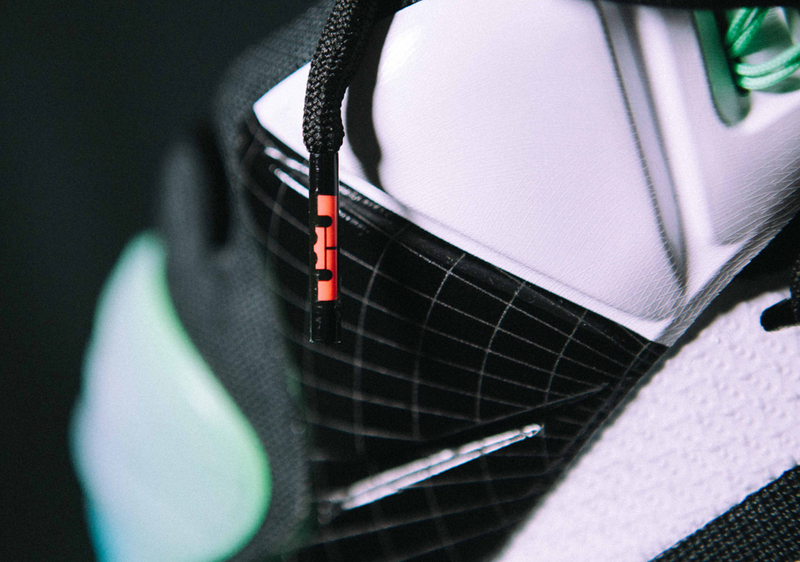 A portion of the Hyperposite wing is sectioned with a webbing that is different from past LeBron 12s with a singular color and pattern on that part of the shoe. 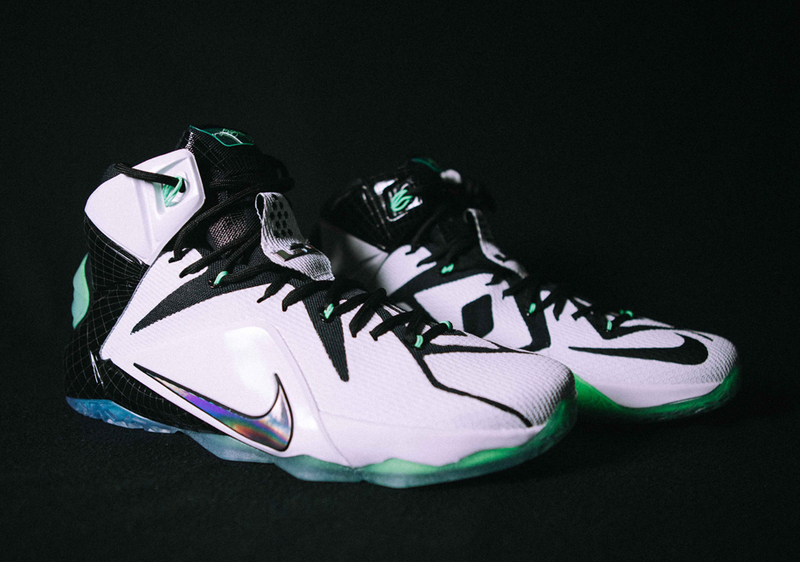 The Nike LeBron 12 ‘All-Star’ will release on February 14th for $220. 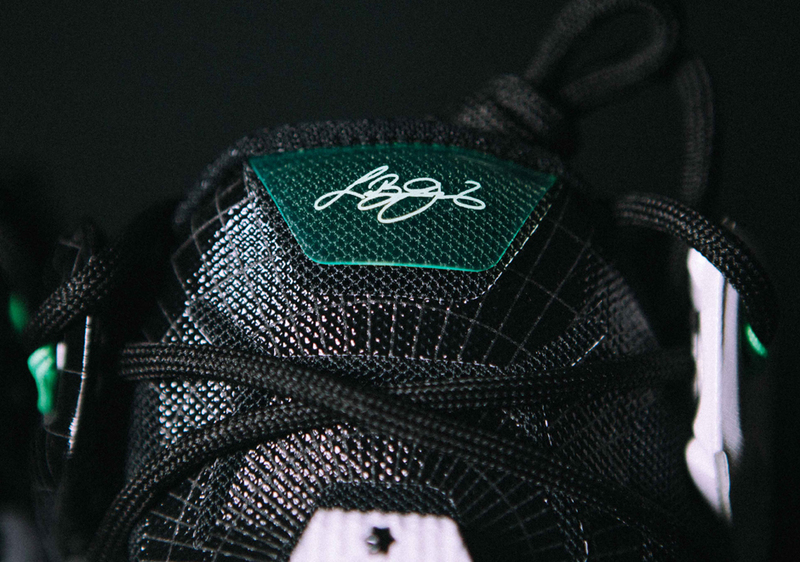 Let us know if this is a must cop or not in the comments below. With these prices, it looks like I am not buying a Nike Basketball shoe for a loooooonnngg tiiiiimmmee. 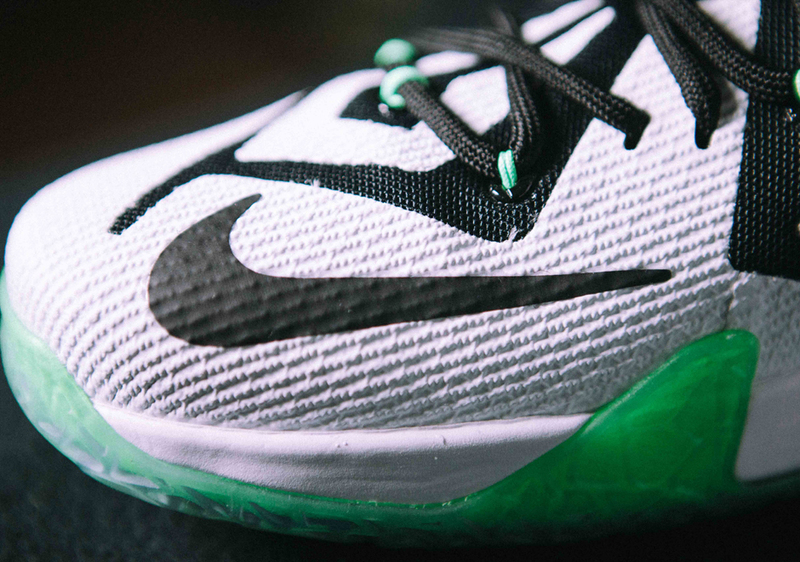 WTF is in these shoes, that makes them worth 220? 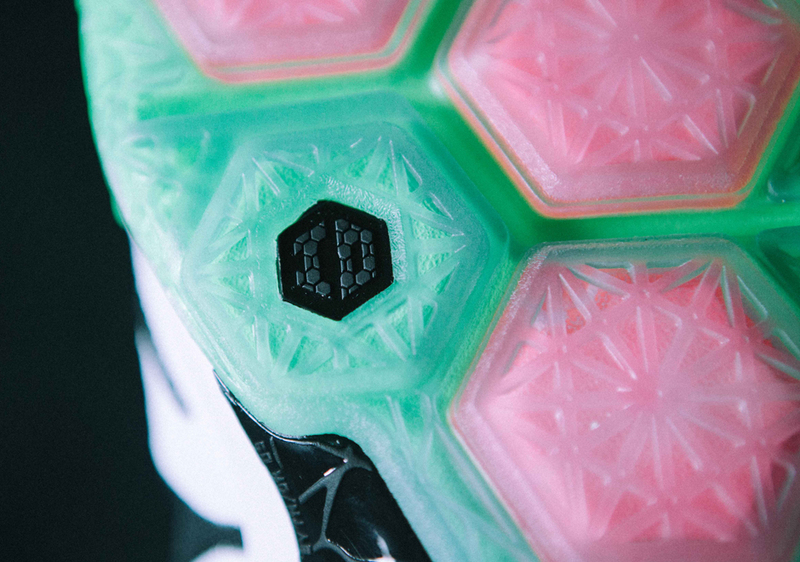 You might not know the answers, but what the heck is up with that yeezy heel counter thing? 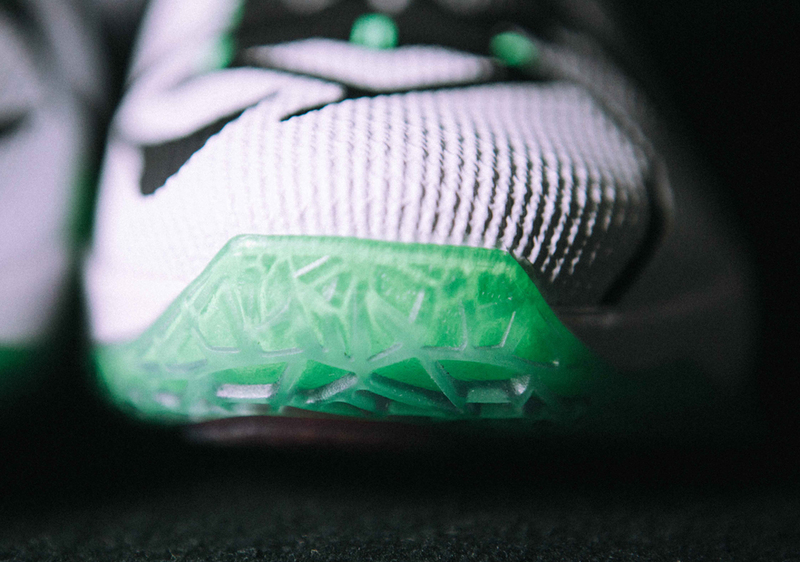 And why would Nike put “ID” on the sole? 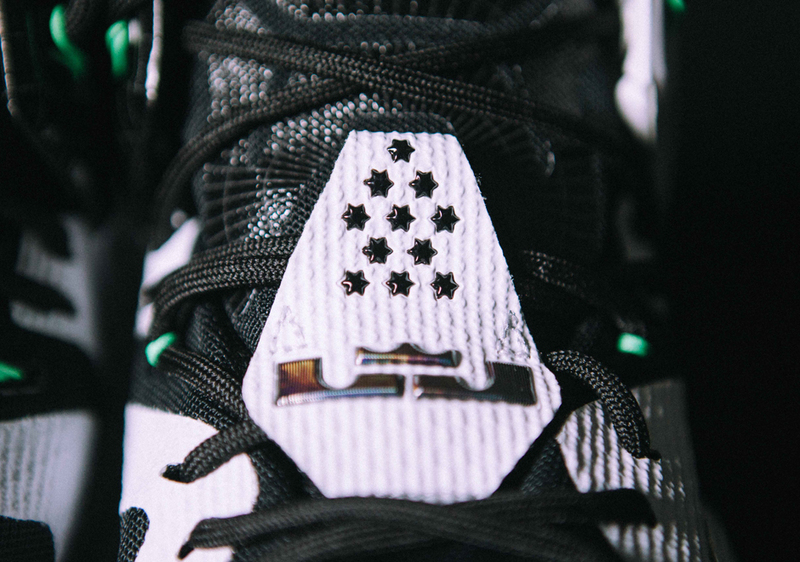 Does that mean this is one of the NikeID options for the all-star game? Just the musings of a sneakerhead lol. I totally see ID though. Thanks for clearing that up lol. I forgot that’s what it said. That’s actually “I O” on the left shoe and the right shoe says “O H”. Combined together it will be Ohio. They look good but I’m not feeling Nikes prices. 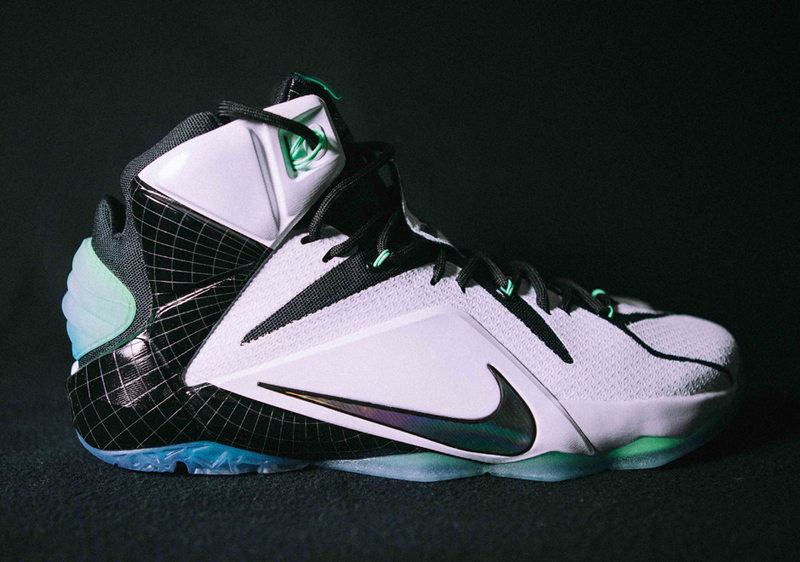 They look like the counterpart of the “Gator King” Lebron 11’s from last year’s All Star Game. 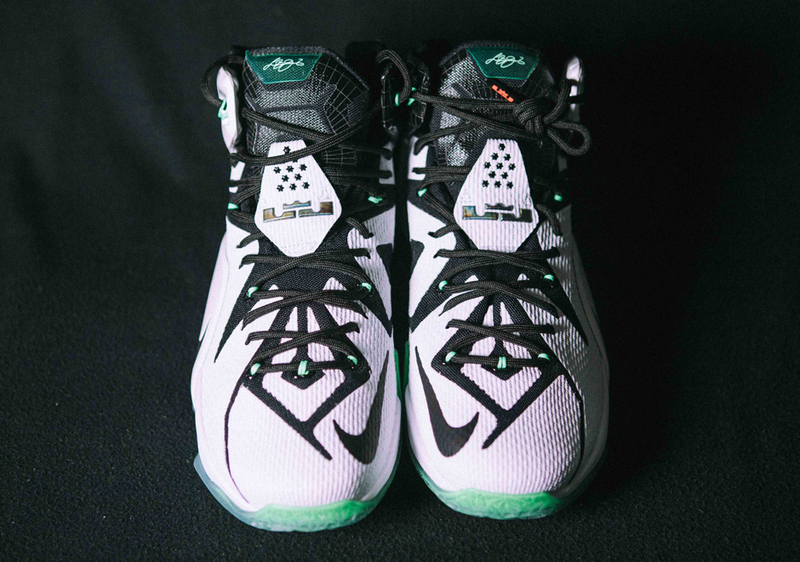 I don’t think Im going to buy a Lebron until the retro X’s come out. 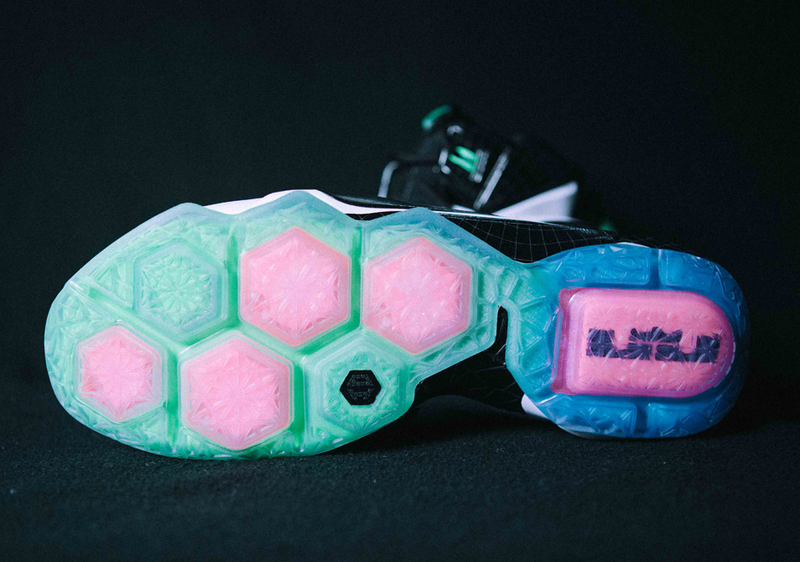 Those are some ugly shoes, none of the elements really seem to fit and blend in as one piece.. 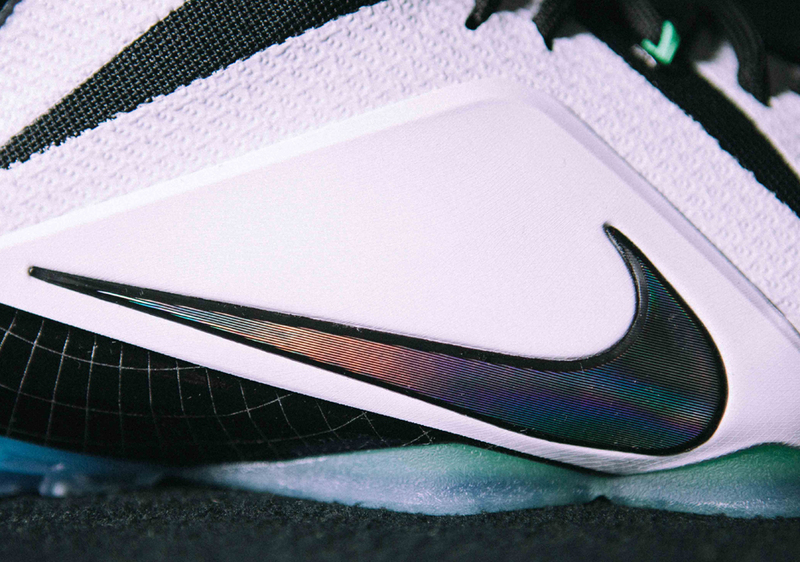 Damn, that icey sole looks nice. But what kills this shoe is the price.